There are two very consistent entities in my professional career: TESOL and Peace Corps. Interestingly enough, I am one of the lucky ones: When I graduated university, I knew I was going to be an ESL teacher. When I agreed to do my service in Ethiopia, 1996-1998, I knew one day, I would return to the United States to get my master’s in TESOL. But for so many TEFL Peace Corps volunteers, making a career of teaching English as a second language didn’t enter their minds until they stood in front of a class and started practicing the craft we have all come to love. The stories in this blog, from returning Peace Corps volunteers (RCPVs), look back at individual Peace Corps service and illustrate connections to the current TESOL professional. I would like to thank the individuals who contributed to this blog post. Your stories made me smile and remember the mud hut that once was my classroom. And, thank you Peace Corps for being around for 50 years. We, at TESOL, wish you many more years to come. I am a returning Peace Corps volunteer (RPCV). I served in Sabah, Malaysia (1967-1969), and I have been a member of TESOL for many years. I was a TEFL teacher in a government secondary school. I am currently a professor of education, professor of linguistics, and former director and current research scientist at the English Language Institute, all at the University of Michigan. Incidentally, my life has been intertwined with the Peace Corps in other ways. My graduate education was, and my current positions are, at the University of Michigan, where in 1960, on the steps of the Michigan Union, John F. Kennedy challenged students to dedicate themselves to global peace and justice by living and working in developing nations. From that challenge grew the Peace Corps, which Kennedy established after his election. Directing the English Language Institute (ELI) at the university, years later, I learned how much of my Peace Corps training was influenced by Charles Fries and others at the ELI. I have also been long associated with the SIT Graduate Institute, which designed and delivered much of the early predeparture training of Peace Corps volunteers. I have the Peace Corps to thank for starting me on my path to what has proven to be a wonderful international career. I feel very fortunate indeed. 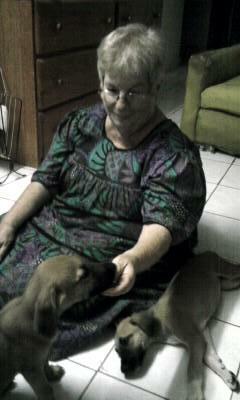 Diane Larsen-Freeman served as a TEFL teacher with a government secondary school in Sabah, Malaysia, 1967-1969. She currently works at the University of Michigan. I am married to a Ghanaian whom I met when he was my student in Ghana. He was in my English classes all 3 Peace Corps years. We married in Ghana in 1978. We left Ghana in 1981. We have one daughter and one granddaughter. I lived in Ghana as a child. My mother was a missionary there, and she was still serving when I went there in the Peace Corps. She lived 13 miles from me! I got a lot of ribbing about this. As it happened, Ghana was the only country they would accept me for, after initially rejecting me, because I had lived there as a child, and I had told them I had asthma. Vivian Hazel Adzaku (Ghana, 1968-1971) worked mainly English in a secondary boarding school in the town of Tsito. For the past 8 years, Vivian has been teaching remedial writing, mainly, at the University of Arkansas at Pine Bluff, Arkansas. 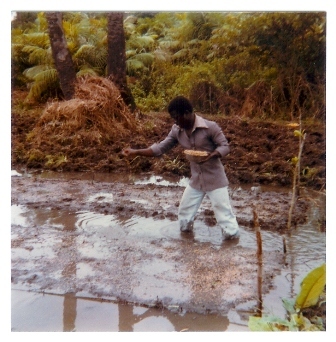 I was an agricultural extension agent in Sierra Leone from 1981-1983, responsible for training subsistence farmers in growing irrigated inland valley swamp rice, which was not the way rice was traditionally cultivated there. I now teach English as a second language to public school students at the Marsh Grammar School in Methuen, Massachusetts, which I have been doing since 1998. My Peace Corps job, dissimilar though it may seem, did in fact help prepare me for a career as a language teacher. In Sierra Leone, I had to learn to work effectively with people who had all sorts of agendas and a wide variety of skills and knowledge about growing irrigated rice, just as I now work with colleagues who may know a little or a great deal about teaching English language learners. 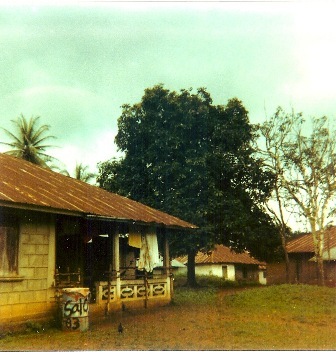 In addition, my Peace Corps experience has made it fairly easy for me to deal with the unexpected and with ambiguity, since that was a big part of living in Sierra Leone. Living in two small villages without running water or electricity has helped me make connections with my students since some of them come from similar family environments. I can also relate to my students by explaining to them that I understand what it is like to move to another country and be required to communicate in a foreign language. When they hear me speak Krio (the lingua franca of Sierra Leone) or another foreign language I am conversant in, I can establish a connection to my students because they know I understand what is involved in communicating in a language that is not the first one I learned and am most fluent in. The interpersonal and cross-cultural skills I acquired in the Peace Corps have served me very well in my current career as an educator of English language learners! 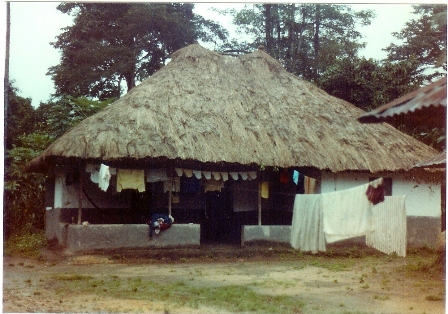 The house I lived in my first year, in the village of Juma; it has a thatch roof and was located at the edge of the village. There is laundry hanging from clothes lines (the alternative was to lay it over bushes but then insects could get in it and then burrow into a person’s body–the Peace Corps told us to try and get people to hang up their clothes instead). The house I lived in my second year, in the village of Nitti; it’s the house on the left in the photo. It has a tin pan roof and as a result, I was able to attach a “rain gutter” to it and siphon rain water into the oil drum on the ground in front, which I used for washing but not drinking. Again, there is laundry hanging up. Me, sitting on a stool behind my house inNitti, just posing with some food, a basket I bought, and holding my cat in front of a small three-stone fire I sometimes used to heat water. Paul, the person who was assigned by the Ministry of Agriculture to work with me to try and get the local farmers to do irrigated swamp rice cultivation. In this picture, he is seeding a nursery bed that we made as a demonstration for farmers so they can see the benefits of growing rice that is transplanted, instead of just scattering rice seed on hillsides (transplanted rice produced a higher yield). Susan L. Schwartz worked as an agricultural extension agent in Sierra Leone from 1981-1983. Currently, she teaches English as a second language to public school students at the Marsh Grammar School in Methuen, Massachusetts, Grades 4-8. A few years after graduating from college, I was looking for a new career direction, and TESOL seemed like an ideal way to combine my interests in teaching, anthropology, and language. Serving in the Peace Corps gave me a chance to gain solid work experience while fulfilling a lifelong dream, completing my master’s degree through the reverse master’s international gave me the professional qualification to work at almost any level anywhere in the world. I put my education and my Peace Corps service to use every minute of my time in the classroom–in the dozens of small decisions I make every class and in my attitude and approach as a teacher. I’m able to accept that there are some things I can’t do in order to have the energy to focus on the things I can do. I have the confidence to handle new situations and the humor to laugh at myself when I fumble. I can empathize with my students as they learn to live and work in a new culture with a new language, and I can more fully understand their backgrounds and motivation. My experiences in the Peace Corps have made me a better teacher, and the perspective I’ve gained helps me continually approach my work with a sense of purpose. 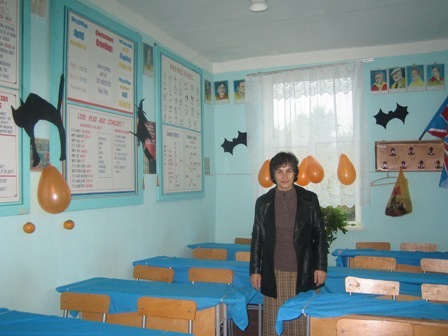 Jennifer Lubkin served in Azerbaijan, 2005-2007, as a TEFL co-teacher at Goranboy School #2 (secondary school). She is currently an instructor at Georgetown University. 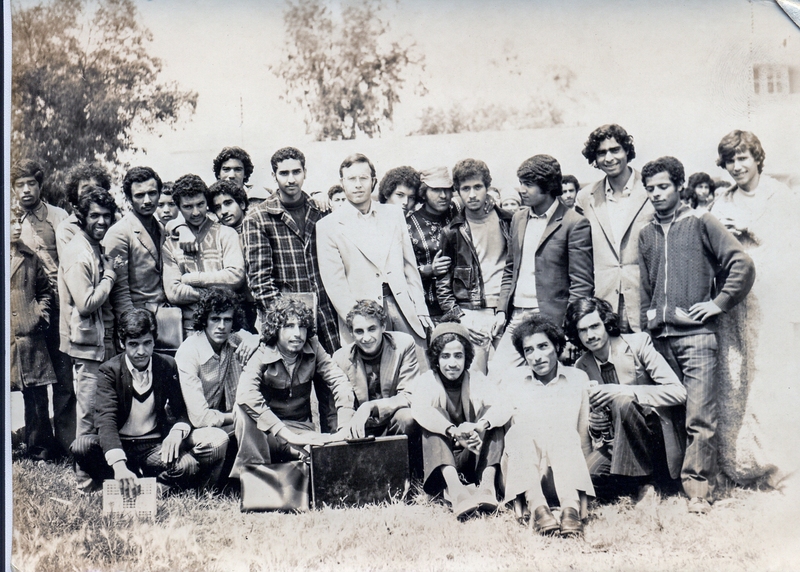 I joined the Peace Corps in 1977 after having obtained a masters in TESOL at Teachers College (Columbia University). At the time I didn’t know that (a)this was somewhat unusual and (b) by entering the Peace Corps with a masters, I could leave the Peace Corps and find decent jobs without having to return to the USA to get a masters. And that is what happened! Right after I completed four years as a Peace Corps volunteer in Senegal, I moved to Bujumbura, Burundi, as a Junior Fulbright Lecturer. Just as Peace Corps is normally for two years, but I stretched it to four, Fulbright lectureships are normally for one year (possibly two), but I stretched it to three. I then landed a wonderful (lots of fun) job in Niamey, Niger, directing the English language program (ELP) at the American Cultural Center. “I’ll stay here for two or three years,” I told myself. Well that was 27 years ago and here I am, still in Niger. While I was directing the ELP, Boston University started a study abroad program here. I was asked to direct that program and that is what I do now. I still guest lecture at the ELP. I don’t think I am an RPCV because I have never “returned” to the USA. What do you call people like me? SOPCV (Staying On Peace Corps Volunteer)? Sue Rosenfeld served in Senegal, 1977-1981, with the education/TEFL group. Currently, she is the resident director at Boston University in Niger. I was a TEFL resource person in Senegal from 1982-84. I worked with local English teachers, helping them get more out of the state prescribed text. I worked with individual teachers in my region, and, with the three other resource volunteers in the program, traveled around the country giving workshops. Peace Corps was a life-changing experience for me. It taught me both how big and how small our world is. It taught me how different we all are, and how ultimately similar. The experiences I continue to process to this day, and they give me invaluable insights into my students’ lives and behaviors. My Peace Corps is the underpinning of my professional identity. 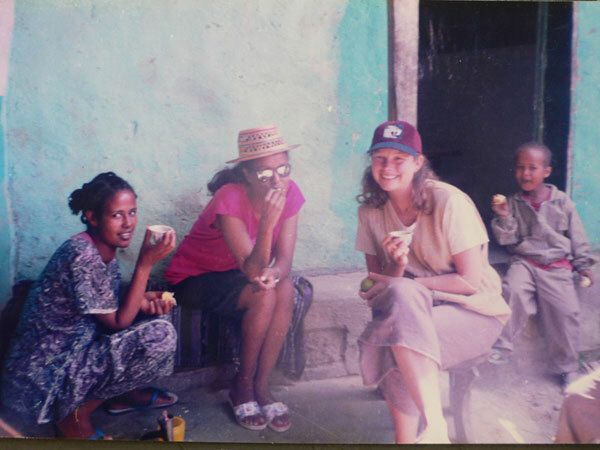 Deborah Hadas was a TEFL volunteer in Senegal, 1982-1984. First Instituto Linguistico Colombo Americano (ILCA) group in Colombia–we were teacher trainers of Colombian English teachers sponsored by Peace Corps/U.S. government and the Ministerio de Educacion in Colombia. Our Peace Corps training took place in Washington at Georgetown University, and then a month in-country. In Colombia, we taught in all levels of education, from elementary to university to demonstrate to our students who were the teachers. The teachers came to our classes in the evening, for training in using spoken English and the new “oral-aural” methodology that was being developed at universities in the U.S. It’s funny to think that there was no TESOL when I began teaching. When I returned to the states, I taught Spanish for a year in public school. I have been teaching ESL off and on, mostly on, since then. I was also involved with IEP administration for many years, and I am currently a full-time faculty member at the Language Academy at the University of Southern California. Priscilla Taylor, a member of TESOL and CATESOL, served in Colombia, 1964-1966. She currently hangs out at the Language Academy at the University of Southern California. I really didn’t plan for this. After “retiring” three years ago I returned to teaching ESL, and I went back to grad school for a masters in TESOL–at over 60 years of age. This is all following a career in college and university administration. My English teaching career first began in 1972 in Thailand (Group #40), when we arrived in-country after being confronted for a decade by the political and social upheavals surrounding our youth rebellion and opposition to the Vietnam War. To have a real career then with English language teaching–with a plan for some security and filling a global need–was a relief. I made the transition from a wide-eyed pharang to a professional teacher in The Land of Smiles. My new work gave me experience and confidence to look forward to new positions, new work, and a positive future–and a new Thai wife. But then, following more graduate study came my 35-year detour into academic administration in financial aid and continuing education. The allure of administration grew thin as time went on and hopefully, with at least a few years remaining in my working life, I eyed returning to the English language classroom. I recommend wholeheartedly an invigorating year or so back in the classroom as a student for anyone. Now back teaching, I am with college-bound students–the Chinese and Gulf Arabs most conspicuous–and I have the highest regard for their adventurousness and spirit as they head out on their journey just as many of us did with the Peace Corps or other international organizations did awhile ago. The Peace Corps gave me the experience, the tools, and the incentive to change my life, just as I hope I can help influence my students. Steve Schwegler was a volunteer in Thailand, 1972-1974, where he taught English. This year Steve completed his master’s in TESOL at the University of Missouri-Kansas City, and he is teaching ESL at the Applied English Center at the University of Kansas. I volunteered for the Peace Corps and was assigned to go to the Philippines to teach English from 1966-1968. I was not an education major in college and knew nothing about teaching. Despite that, I was sent to an elementary school in a coastal town, Kauswagan, on the northern coast of Mindanao. Mindinao is the southernmost island in the Philippines and has a mixed population of Christians and Muslims. 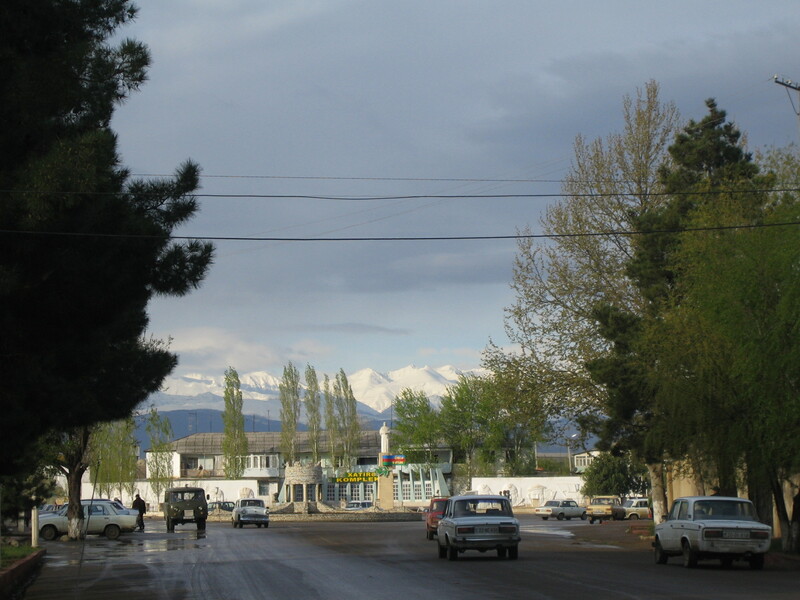 Kauswagan was a very small town. There was no electricity or running water in most of the houses. Dogs and geese ran wild on the dusty dirt roads. On one side was the sea and on the other, family farms carved out of banana groves. My job was not well defined. I had a desk in the school library and taught pronunciation to a class of kindergarteners each morning. I taught things like ch ch ch and puh puh puh. It seemed silly to me even then. The rest of the day, I had little to do. I chatted with the teachers and occasionally they would ask me to come into their classes to teach a lesson. This was also silly because I had no idea how to teach. But I was certainly willing to try. About once a month, we traveled to teacher meetings in other schools where I gave little demonstrations. These days were really fun as we often had to wade across muddy rivers in our teaching uniforms. The children on the other side washed our feet. While in the Philippines, I married a fellow volunteer. Mike had been assigned to the University of Marawi on Mindanao teaching chemistry. We found a place to live on the bottom floor of a house near the sea in Kauswagan. Mike taught science in my elementary school. It was a wonderful honeymoon. After returning home, I taught English in New York City schools for three years then later taught ESL in the Bedford School District for almost 30 years. I also was an adjunct professor at Teachers College, Columbia University, for 16 years. I still write, work with classroom teachers, and teach here and abroad, although I’m officially retired from classroom teaching. I left the Peace Corps with a desire to become a “real” teacher and an expanded knowledge of the world and the people in it. It was the best education I ever had. is currently the chair of the TESOL Professional Development Committee. My name is Eric McCutcheon. From 1991-1993, I served in Bydgoszcz, Poland. I was a teacher trainer at the Nauczycielskie Kolegium Jezykow Obcych (Teachers’ College of Foreign Languages). I am currently an English Language B teacher for Grades 8-12 at the International School of Ulaanbaatar, Mongolia. My Peace Corps (PC) experience does not just relate to my current job-it saturates it! It is all about teaching and traveling, a love instilled early on through my parents, both professors at the University of Hawaii. PC paid for my Fellowship at the University of Southern California. An important time, for picking up not only a master’s in TESL degree, but meeting my future wife. But the experience of living and working abroad, training teachers, improving language, testing pedagogy, exploring culture, is like a second skin. From Los Angeles, to Honolulu, to Chennai, and now to Ulaanbaatar, it is with me all the time, and it reminds me of a few biggies: We are all learners. We have only one planet, for now, and are citizens together on it. My culture is not better than yours. My language is not better than yours. Our experiences make us unique, and sharing this is priceless. So 20 years ago I was teaching English as a stranger in a strange land. And it hasn’t changed a bit–still the toughest job I’ve ever loved. Eric McCutcheon served as a Teacher Trainer in Bydgoszcz, Poland from 1991-1993. Currently, Eric works as an English Language B teacher for Grades 8-12 at the International School of Ulaanbaatar, Mongolia. John F. Kennedy called the nation to volunteerism in the early 1960s, and thousands of Americans responded by joining the Peace Corps. I was one of those Americans. I graduated from college with a degree in sociology in June, 1968, applied to the Peace Corps and took a job as a social worker while waiting to hear from the Peace Corps. The application process during the early years involved language testing, FBI checks, and other hoops through which college “generalists” needed to jump in order to become a PCV (Peace Corps volunteer). Almost a year after my application, I received an invitation to become a PCV as an ESL teacher in Liberia. I received six weeks of teacher training in St. Thomas, Virgin Islands, and another six weeks upon arrival in Liberia, and I was then placed into a classroom to begin my career as an ESL educator. I spent two years teaching in a small village to elementary students (whose average age was about 18), a year teaching at a Catholic secondary school, and several months training another new generation of ESL PCVs to Liberia. Upon my return to the U.S. I enrolled in an master’s program to become a professional in what I had been doing for the previous three-and-a-half years. Five years after that, I completed a doctorate in bilingual, multicultural, ESOL education. These degrees have been used to teach ESL at the elementary, secondary, community college, and university levels and to train other teachers in ESOL methodologies. They have also been used to direct ESL programs for school districts, to publish in the field, to develop ESL testing procedures and processes, to assist LEAs with evaluation and assessment, to develop model ESL programs, and to develop cross-cultural and linguistic exchange programs. I am beyond retirement age, teach ESL full time at the secondary level, teach university classes for master’s degrees in ESL, present at national and local conferences related to ESL, and supervise teachers doing internships in ESL. What began as an adventure as a PCV 43 years ago ended up being my life’s passion. 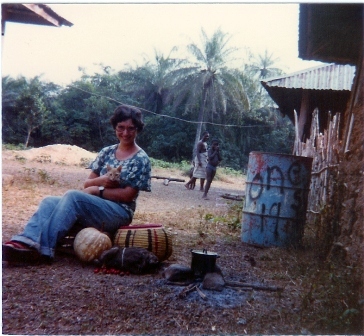 Sharon S. Moya (neé McKinley) was a Peace Corps volunteer in Nengbehn and Saniquelli, Liberia, 1968-1972. Sharon’s recent adventure is as a full-time ELL teacher and graduate teacher trainer relating to curriculum, instruction, and assessment and ELL (ESL) both face-to-face and online. I believe every person has a handful of days they will never forget as long as they are alive. For me so far, there are three that I would put in that category-the day I was married, the day my son was born, and October 3, 2011, the day I arrived in Kiev to begin my service as a TEFL Peace Corps volunteer in Ukraine. This October marks the 5-year anniversary of my start with the Peace Corps, and not a day passes when I don’t reflect on either a person I met or an adventure I had while serving. Lucky for me, though, is the fact that I found the perfect job for me when I returned to the United States-working for BridgeTEFL as a program advisor. At the risk of sounding promotional I won’t say much about Bridge (our parent company), but I’m fortunate to work for an organization that values innovation, learning, and maintains a large international focus. Matthew Clark was a TEFL volunteer in Shostka, Ukraine, 2006-2008. He is now the jobs advisor for BridgeTEFL in Denver, Colorado. Sarah Sahr works at TESOL and is currently pursuing her doctorate in education administration and policy at the George Washington University. Her professional career has taken her all over the world, most notably as a Peace Corps Volunteer in Ethiopia and as a traveling school teacher/administrator with Ringling Bros. and Barnum & Bailey circus. Sarah is also a certified ashtanga yoga instructor and has managed an eco-lodge in Chugchilan, Ecuador. This entry was posted in TESOL Blog and tagged Peace Corps, RCPV, service, teaching english as a foreign language, TEFL, TESOL international association, volunteer. Bookmark the permalink. So great to see your link and read your amazing story! I felt the same way when I finished university. Such a small world. I love that Spanish is a huge part of your career. Living in DC, I get to use my Amharic all the time… but my second L2 (Spanish) always gets in the way.